← Books from 1923 to 1941 Now Liberated! 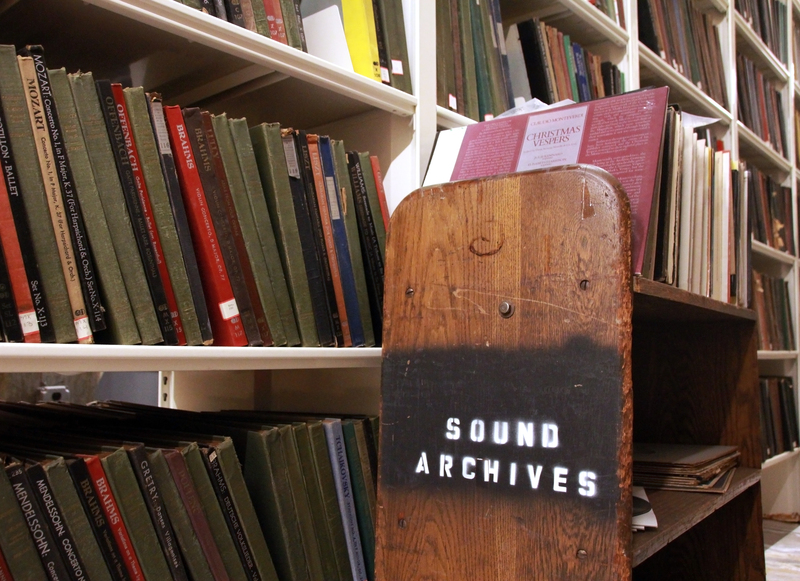 Today, the Boston Public Library announced the transfer of significant holdings from its Sound Archives Collection to the Internet Archive, which will digitize, preserve and make these recordings accessible to the public. The Boston Public Library (BPL) sound collection includes hundreds of thousands of audio recordings in a variety of historical formats, including wax cylinders, 78 rpms, and LPs. The recordings span many genres, including classical, pop, rock, jazz, and opera – from 78s produced in the early 1900s to LPs from the 1980s. These recordings have never been circulated and were in storage for several decades, uncataloged and inaccessible to the public. By collaborating with the Internet Archive, Boston Public Libraries audio collection can be heard by new audiences of scholars, researchers and music lovers worldwide. Some of the thousands of 20th century recordings in the Boston Public Library’s Sound Archives Collection. “Through this innovative collaboration, the Internet Archive will bring significant portions of these sound archives online and to life in a way that we couldn’t do alone, and we are thrilled to have this historic collection curated and cared for by our longtime partners for all to enjoy going forward,” said David Leonard, President of the Boston Public Library. Listening to the 78 rpm recording of “Please Pass the Biscuits, Pappy,” by W. Lee O’Daniel and his Hillbilly Boys from the BPL Sound Archive, what do you hear? Internet Archive Founder, Brewster Kahle, hears part of a soundscape of America in 1938. That’s why he believes Boston Public Library’s transfer is so significant. The 78 rpm records from the BPL’s Sound Archives Collection fit into the Internet Archive’s larger initiative called The Great 78 Project. This community effort seeks to digitize all the 78 rpm records ever produced, supporting their preservation, research and discovery. From about 1898 to the 1950s, an estimated 3 million sides were published on 78 rpm discs. While commercially viable recordings will have been restored or remastered onto LP’s or CD, there is significant research value in the remaining artifacts which include often rare 78rpm recordings. 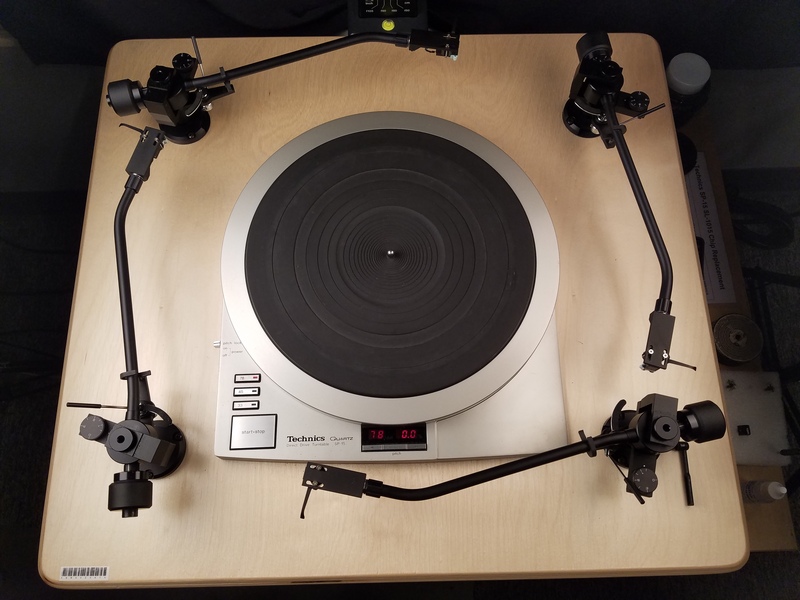 George Blood LP’s 4-arm turntable used for 78 digitization. The Internet Archive is working with George Blood LP, and the IA’s Music Curator, Bob George of the Archive of Contemporary Music to discover, transfer, digitize, catalog and preserve these often fragile discs. This team has already digitized more than 35,000 sides. 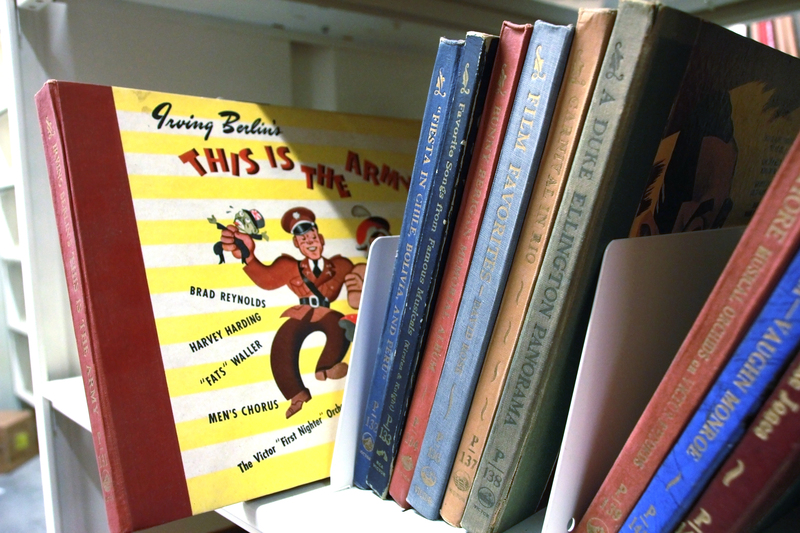 The BPL collection joins more than 20 collections already transferred to the Internet Archive for physical and digital preservation and access. Curated by many volunteer collectors, these collections will be preserved for future generations. The Internet Archive began working with the Boston Public Library in 2007, and our scanning center is housed at its Central Library in Copley Square. There, as a digital-partner-in-residence, the Internet Archive is scanning bound materials for Boston Public Library, including the John Adams Library, one of the BPL’s Collections of Distinction. To honor Boston Public Library’s long legacy and pioneering role in making its valuable holdings available to an ever wider public online, we will be awarding the 2017 Internet Archive Hero Award to David Leonard, the President of BPL, at a public celebration tonight at the Internet Archive headquarters in San Francisco. As we’ve noted in some reviews, the mint condition 78’s often have surprisingly good sound, especially the electrical recordings starting in the late 1920s. Looking forward to hearing some amazing things. Also, a fair number of the restorations done here are better sounding than re-processed recordings issued by major labels of the very same thing. No guarantee that 100-year-old library copies would be mint. Also, a fair number of the restorations done here are better sounding than re-processed recordings issued by major labels of the very same thing. Can’t wait to hear this material. I know there’s some rare transcription disks from Boston radio in the collection– programs produced for the Yankee Network– and I’m eager to hear them too, as very little local radio from the 1930s and 1940s was ever preserved. Such a remarkable project and a remarkable achievement to date. This makes me happier than ever to have learned to love Bach, Vivaldi, Telemann, Corelli, etc. when I was still in my teens. Since then I have also wrapped myself around the fabulous innovations of Francis Poulenc. I attended the 4th live performance of Poulenc’s Stabat Mater in 1956; it instilled itself into my soul. The marvelous about music is that once you’ve heard it, no one can take it from you. I think his is absolutely wonderful. How will we the public be able to access such a fantastic treasure? this internet library has grown with leaps and bounds . our local library has adopted archive as part of it’s leap into the future. Archive bless you for all you share with the world/ pastor Keith. This is so exciting. I was raised by a mom and dad who loved to sing. I was fortunate to hear songs from the 20’s on up and even today some friends and I get together and sing. I have 2 boxes of old 78s I would like to donate for preservation. I don’t know what condition they are in; they were stored in my father’s attic for 50+ years. do you have any suggestions? Thank you for thinking of us, we would love the donations. Can you send them to us in California? pls write to bgeorge@archive.org, our music curator. It is really a grate jobe. for our past. It will be exciting to hear these pure recordings. May they endure fo generations to come. Very cool! I am curious about the LP piece. Are the LPs being treated and released for access in the same manner as the 78s? I’m curious how are the rights being handled for these artifacts if they’re to be publicly accessible online. It’s great that music I had to haunt flea markets to find is being put out there for the whole world to hear. Wanna hear some really good music? Look at Welter Ham’s Favorites on the archive and find the great bands and performers of the 1920s-30s. How anyone can listen to this music and not ask “why do we not have music like that now?” would surprise me. What we have traded for ensembles of trumpets, trombones, soprano, alto, tenor, baritone and bass saxophones , clarinets, flutes, violins, piano, tuba, string bass, drums, banjo and guitar ain’t worth it. Big band sounds need big bands (10+ pieces). I just need more than a keyboard, guitar or two and a trap set to musically satisfy me, not to mention melodies that you can learn and whistle with lyrics that are understandable and meaningful, whether happy or sad. AM I THE ONLY ONE ? ?